Congratulations, you have just found the best little New Zealand wedding planner. We specialise in intimate eloping weddings. 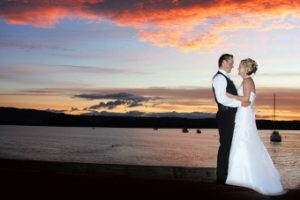 When you choose Eloping Weddings to plan your wedding day in New Zealand we arrange everything for you from start to finish. Getting married in New Zealand is very easy and why so many international couples choose New Zealand to get married. No matter what your sexual preference, we arrange New Zealand marriages that are legally binding marriages and civil unions. We are your New Zealand wedding planner so we advise you on how you can make contact with your NZ Embassy to get your marriage licence arranged from abroad. To start the process of your marriage application we advise you on how to meet basic criteria to get a marriage licence. On your wedding day your NZ registered celebrant will give you a signed copy of your marriage licence. You can order a marriage certificate after this is signed and sent to the NZ Government. Don’t worry, it sounds difficult but it’s relatives simple and we assure you, we make it easy and assist you in this area of your wedding. We are your ultimate New Zealand wedding planning service. New Zealand marriages are legally binding and you will be recognised world wide as a married couple. We have the contacts and know how to make this part of your wedding extra easy. When you get to New Zealand its just a matter of having fun and enjoying the best day ever. In terms of the marriage licence there are a few ways we can do this for you. If you both reside outside of New Zealand this can be easily completed! You will need to fill out the forms and either have a Commonwealth Representative witness and sign the form or alternatively send the form to the Registry and have it witnessed once you’re in NZ. Either way you choose, the form will need to be sent to NZ at least a week before the wedding just to be sure. However we suggest having a Commonwealth Representative sign it and send it beforehand so when you arrive in New Zealand you can enjoy your holiday. Rest easy, you New Zealand wedding planner has it all under control. A Commonwealth Representative can be any of the following – Ambassador, High Commissioner, Commissioner, Minister, Counsellor, Charge d’Affaires, Head of Mission, Consular Officer, Pro-consul, Trade Commissioner, or Tourist Commissioner of a Commonwealth country (including New Zealand); and includes any person lawfully acting for any such officer; and also includes any diplomatic secretary on the staff of any such Ambassador, High Commissioner, Commissioner, Minister, Counsellor, Charge d’Affaires, or Head of Mission. Deposits are non refundable. Due to weather, we will provide a wet weather option as per your wedding license. 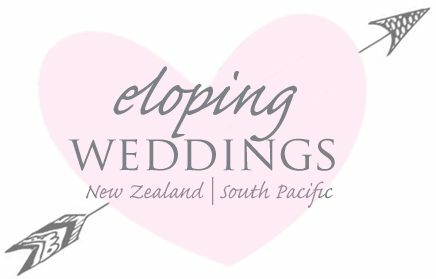 ‘Eloping Weddings Packages’ are subject to NZ Tax laws, DOC (Department of Conservation) or Iwi (Maori Land) charges and are subject to change. If and where possible, we can change your wedding date due to bad weather but there will be additional fees dependant on the location. Cancellations within one month from the booked wedding date will require full payment. Any additional extras added to your package and not included the package will incur a $25 booking fee. For more information to help simplify this, feel free to contact us, we are more than happy to help.